Disclaimer: All information in this blog post, has been provided by Allied Hispanic, as part of a campaign for the film described below. However, all opinions are our own. We have great and exciting news about the new Disney film, Moana. As many of you know, Dwayne "The Rock" Johnson, is the voice behind Maui. Today, he released a clip, featuring Maui's song "You're Welcome", written by Tony Award Winner & Hamilton creator Lin-Manuel Miranda. I know some of you guys might not have an Instagram account, and because of it, you can see this clip here. However, if you do have an Instagram account, and you are as excited as I am to see Disney's Moana, you can see great exclusive content at The Rock's Instagram account, as he will be sharing his first ever Instagram story with clips behind the scenes of his recording session with Miranda. If you are on your mobile. you can search on IG for Dwayne Johnson by his username @therock. 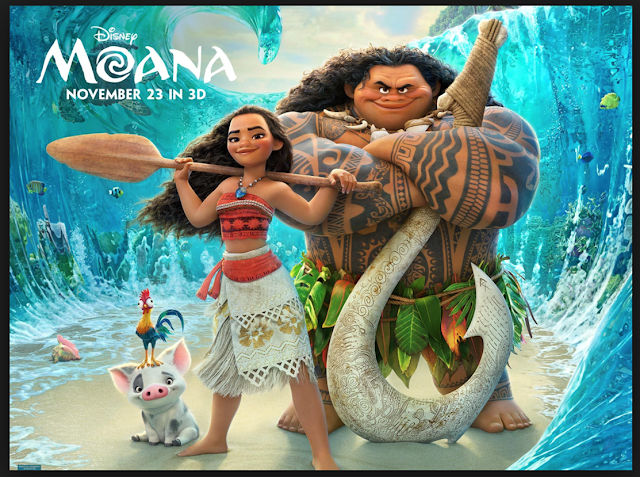 I hope you enjoy this new content, and that you are marking down your calendar, because Disney's Moana will be in theaters in less than a month (November 23rd). I just can't wait!